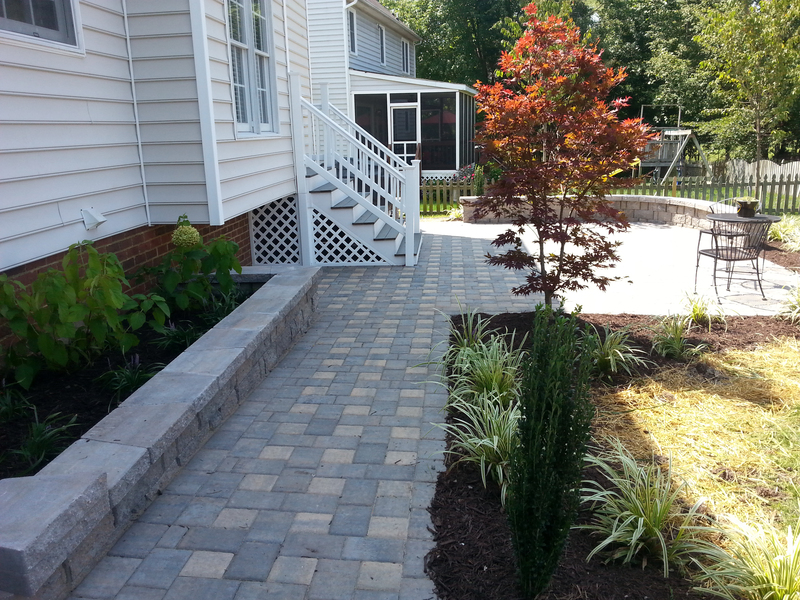 Services – 2012 Southside Landscaping, LLC. Patio's Sidewalks Retaining Walls and Much More! 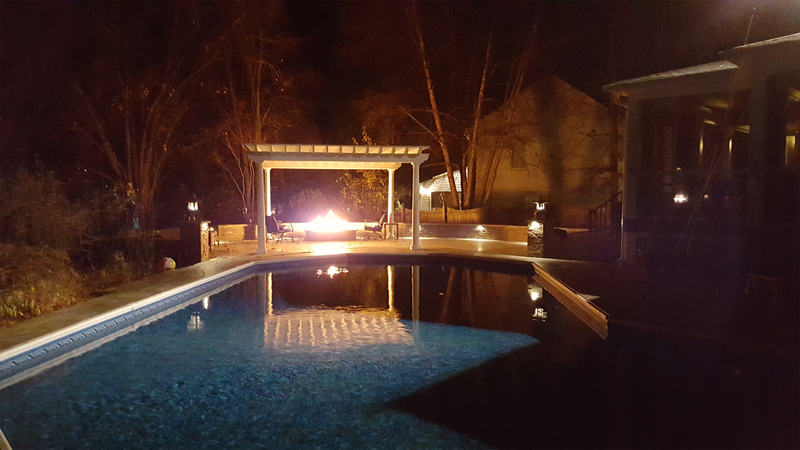 We design and build beautiful and distinctive patios, outdoor kitchens, walkways, fire pits and fireplaces, pergolas, retaining walls, pool decks, and more. The only limit is your imagination. We will help you design and create a landscape that exceeds your expectations: planting new trees and shrubs, creating new garden beds, installing raised planter beds, even a complete landscape renovation guided by a full-scale CAD master landscape plan. We are based in Richmond, Virginia and travel up to 75 miles. Serving Richmond, Henrico, Petersburg, Glen Allen, Midlothian, Chester, Chesterfield, Mechanicsville, Gum Springs, Powhatan, Goochland, and more! We use pavers, wall block, cultured and natural stone materials, and components from the most respected manufacturers in the industry, including E.P. 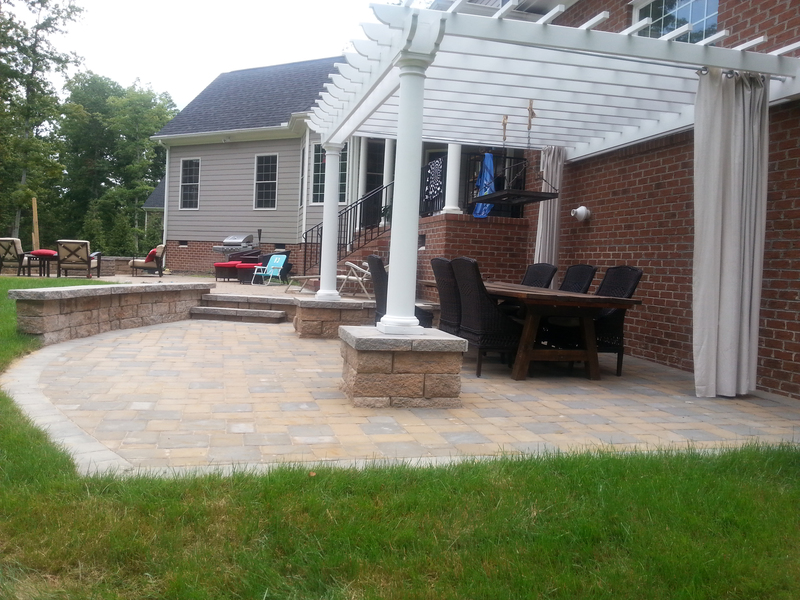 Henry, Belgard, Techo-Bloc and Eagle Bay. 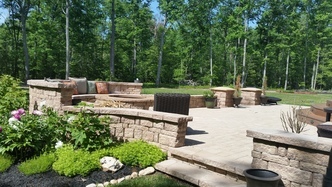 Whether your project includes dry-set pavers, mortared veneers on walls or fireplaces, or natural flagstone in turf, you can rest assured you will be thrilled with the quality of the materials as well as the expert installation! Call us at (804) 386-2261 or click the button at the right to request a free consultation via email.